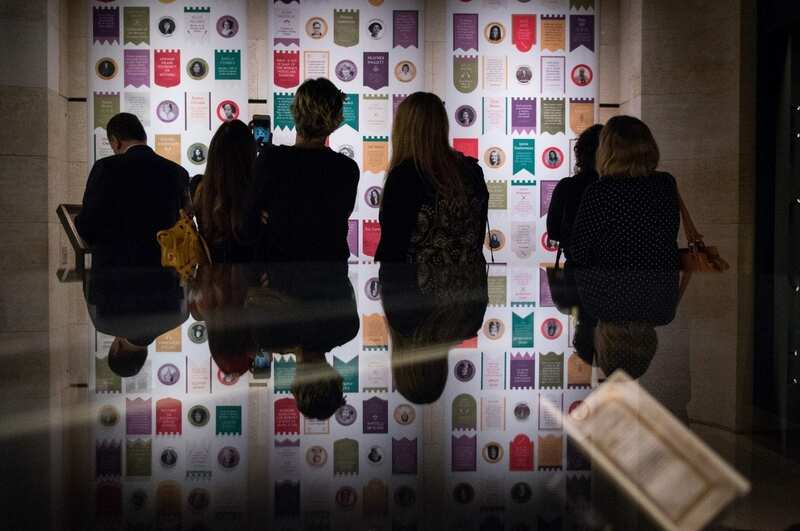 Visitors have just two weeks left to visit the Bodleian Libraries exhibition, Sappho to Suffrage: Women who Dared, which is open at the Weston Library until Sunday 24 February. The free exhibition celebrates the achievements of women across a range of disciplines, from the arts to the sciences, marking the 100 years since the Representation of the People Act, which paved the way for all women in the UK to get the vote. To date, more than 150,000 people have visited Sappho to Suffrage, calling it an ”incredible and inspiring exhibition’’ that ”captures the tremendous effort and perseverance women went through towards equality.” Covering 2,000 years of history, Sappho to Suffrage showcases unique texts, medieval book bindings, photographs, posters, ancient papyrus, letters, scientific instruments, musical scores and games, telling stories of ‘women who dared’ across the millennia. The exhibition also features a wall of banners that celebrates modern suffrage champions as well as a digital version of this ‘wall of suffrage.’ Just outside the exhibition gallery, visitors are invited to contribute to a message board, sharing their thoughts on what feminism means to them, an invitation that many have responded to. Following the closure of Sappho to Suffrage, the next treasures exhibition will be Thinking 3D: From Leonardo to the present which opens on 21 March. In the ST Lee Gallery of the Weston Library Babel: Adventures in Translation opens on 15 February and runs until 2 June. This will be followed by Talking Maps which opens 5 July and runs until 1 March 2020. For more information, visit www.bodleian.ox.ac.uk/whatson.